On Wednesday, Ben Affleck did a thing a lot of men (though not nearly enough) have been doing this past week: he apologized. In this case, the male apology was issued to actor Hilarie Burton for groping her on camera during a 2003 appearance on MTV’s Total Request Live (note the vague “acted inappropriately,” which could technically refer to a number of exchanges). The groping allegations against Affleck resurfaced on Tuesday when a Twitter user tweeted that Affleck “grabbed Hilarie Burton’s breast on TRL once. Everyone forgot though.” To which the One Tree Hill star replied that she certainly had not forgotten. 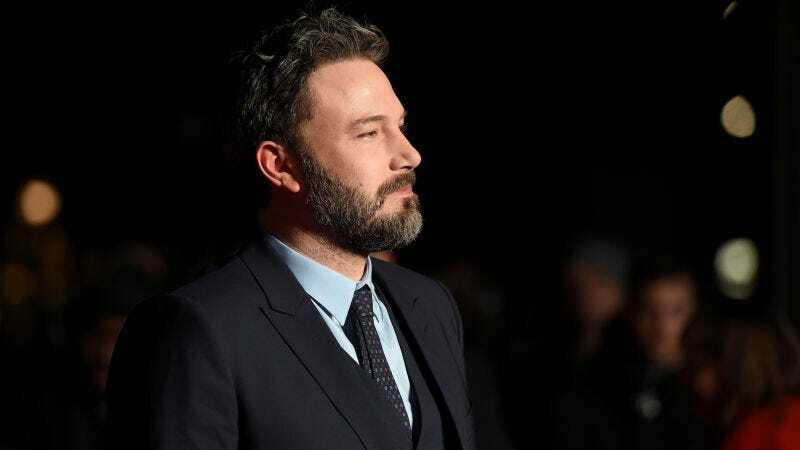 Now that Affleck’s all warmed up, perhaps he wouldn’t mind delivering one of those signature sincere apologies to makeup artist Annamarie Tendler, who’s married to comedian John Mulaney. Lea Michele just woke up like this (levitated by her own boundless joy).